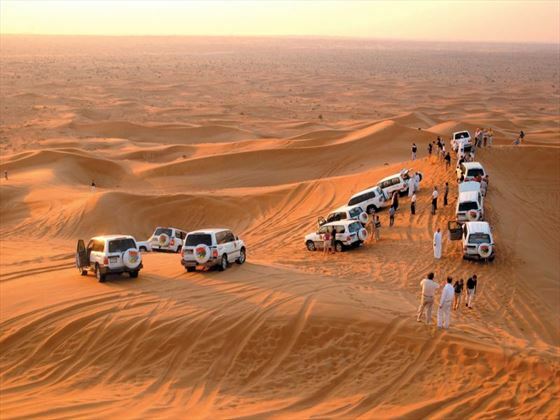 Start your journey in Dubai famous around the world for being extremely extravagant and over-the-top it has to be seen to be believed and your three nights here, will allow you to do just that. 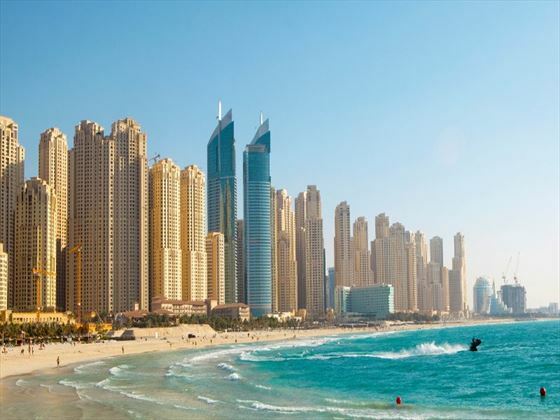 It is grandiose on a colossal scale, and features the world’s tallest building – the stunning Burj Khalifa – and the world’s largest shopping mall – the Dubai Mall to name just a couple of the must-see attractions. 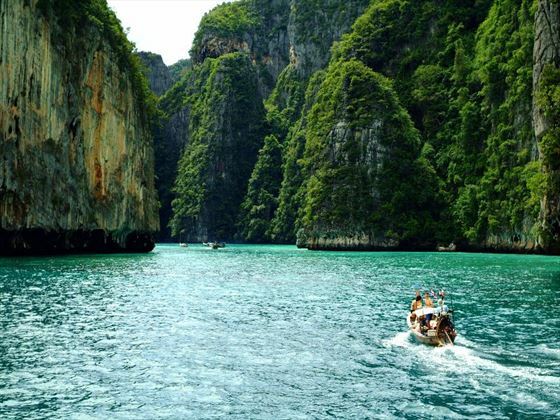 Finish off in Phuket for the perfect contrast, natural beauty and a laid back vibe, your week of relaxation starts here (TM). 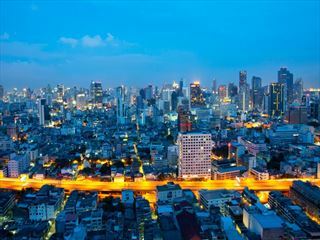 Start in the ambitious, futuristic yet traditional city that combines luxury with innovation and rolling desert hills. 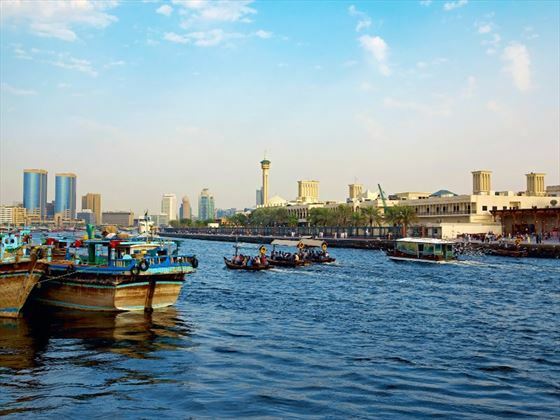 Not only is Dubai known for its fabulous architecture, grand shopping malls and forward thinking, the cultural diversity of this city is unparalleled - you can discover an array of cuisine from worldwide, both humble and high end and the art scene is popular too. 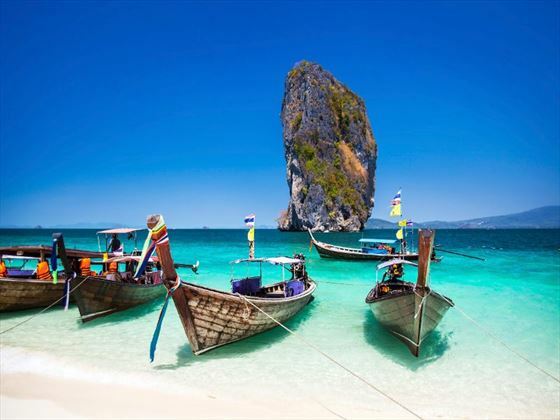 After exploring Dubai visit the wonderful tropical region of Thailand known as the 'pearl of the Andaman' where you can embrace the Thai customs and philosophy of 'Mai pen rai' (never mind) which sums up the lifestyle of the locals carefree attitude. 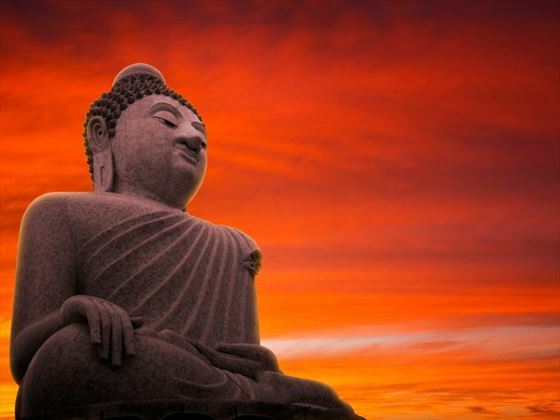 Meditate and practise yoga among the tropical gardens and sea breeze, sail out to snorkel among the sea life or take a visit to one of the majestic waterfalls or temples. 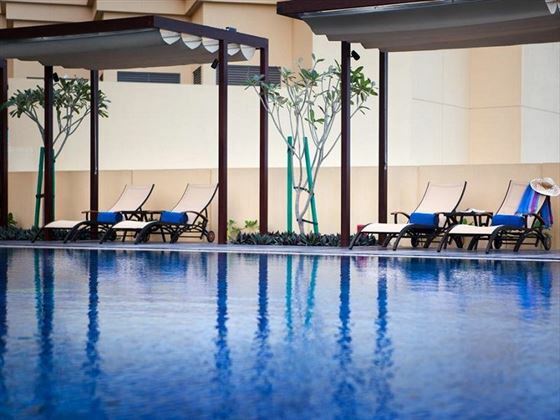 JA Ocean View Hotel Dubai set right on The Walk with plentiful restaurants and attractions on the doorstep. 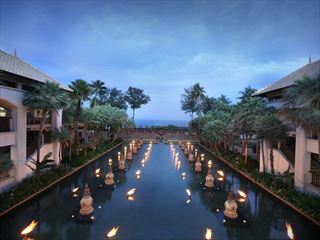 Anantara The Palm is a Thai styled full service resort on the fronds of the famous Palm Island. These recommended combinations is just a starter to give you an idea, call us for a tailor-made quote, we can combine different hotels or a different number of nights in each destination - we're awaiting your call. Prices correct as at 6pm on 20 Apr 2019. Please call for final price. Prices are per person based on 2 adults sharing a room. Other durations available - call for quote. Daily departures . Different hotels of a similar standard may be used on certain departures. Supplements may apply on dates within certain dates during peak travel periods. 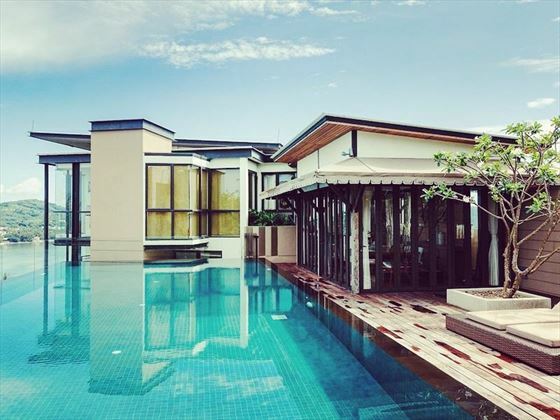 Nestled on the quiet Mai Khao Beach in Phuket, this luxury resort offers a tranquil and secluded spot to truly unwind and soak up the sun. 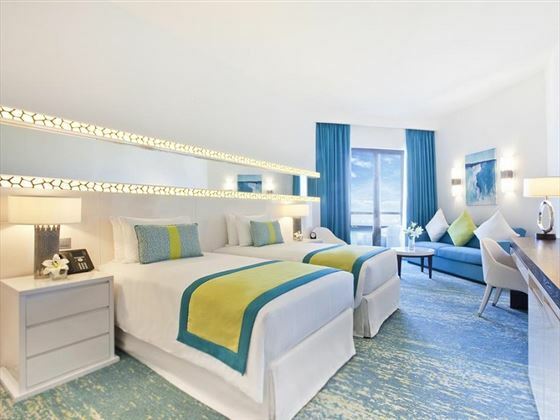 This resort is perfect for foodies thats to its decadent dining choices. Bonus night offer Stay at Cape Panwa for 8 nights and pay for only 4 when travelling 1 May - 31 Oct in a Junior or Cape Suite. Or stay 10 pay 5; stay 12 pay 6. No maximum free nights. Breakfast is chargeable on the free nights. 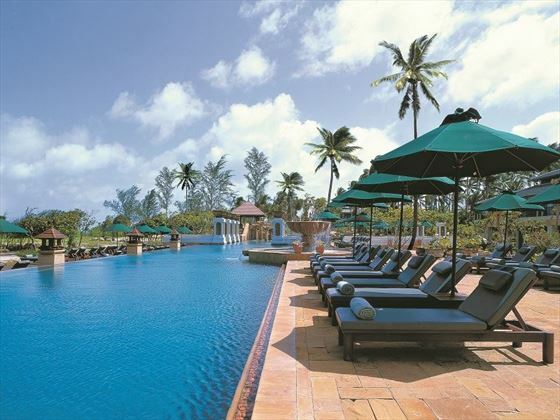 Stay 7 Pay 4 Stay at JW Marriott Phuket for 7 nights and pay for only 4! 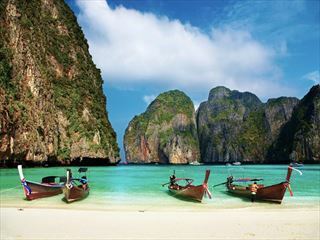 Or Stay 8 nights pay 4; stay 10 pay 5; stay 12 pay 6. Free nights include breakfast. No maximum number of free nights. Travel between 1 May - 31 Oct 19. Combinable with Early booking offer. This stylish and elegant cluster of suites, villas and facilities allows you to truly escape and explore essential Thailand with white sands, ocean blues and calm colonial-style décor presenting an attractive and absorbing backdrop. 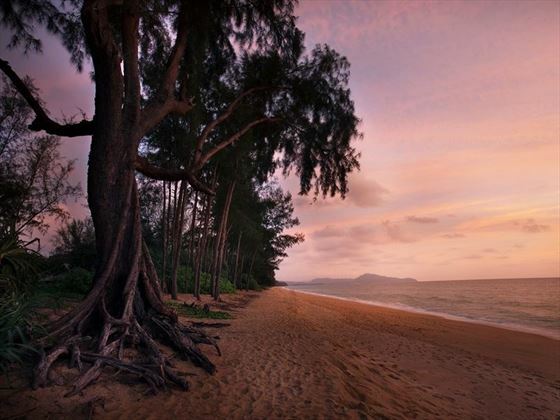 Thanks to the secluded location you'll discover numerous pockets of peace and tranquillity with days spent playing at the beach or simply enjoying the ocean views assisting the effortless ease from afternoon to evening. 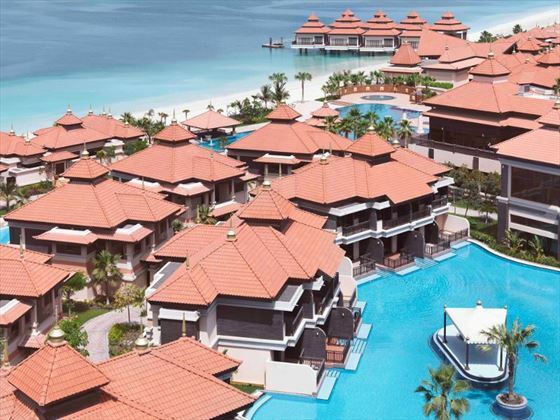 Once the sun begins to set you'll be treated to a sumptuous array of fine-dining and laid-back beach grill options with aromas and ambience that are extremely hard to resist. With day cruises, local aquariums and a sensational spa, Cape Panwa promises plenty for everyone with families and couples finding themselves in an exceedingly enviable position. 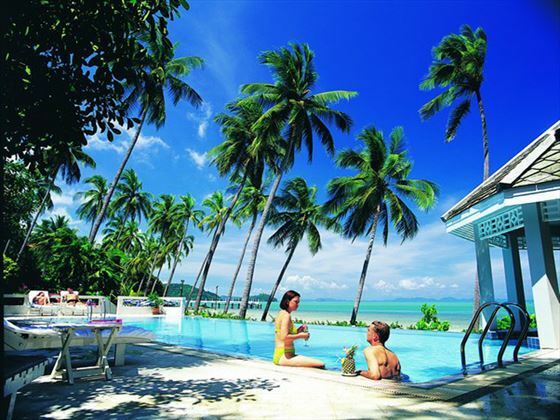 Further reading: Cape Panwa is featured in our guide to the top 10 family hotels in Thailand. 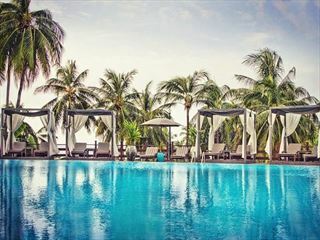 You may be forgiven for thinking that you've stepped into an amazing Southeast Asian oasis when entering the Anantara resort as from red-tiled temple-style roofs to a criss-cross of calming water features, this is where Thailand meets the Middle East with some absolutely outstanding results. 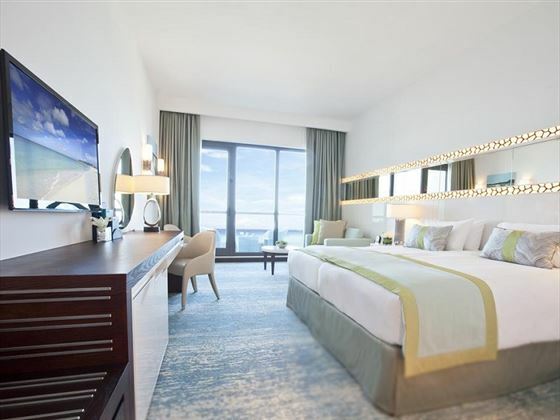 Situated right on the white sand beach of the Palm's eastern frond you'll be treated to the very best of both worlds with fantastic service, unique accommodation and a wide range of restaurants helping to create one of the very best experiences in the whole of Dubai. 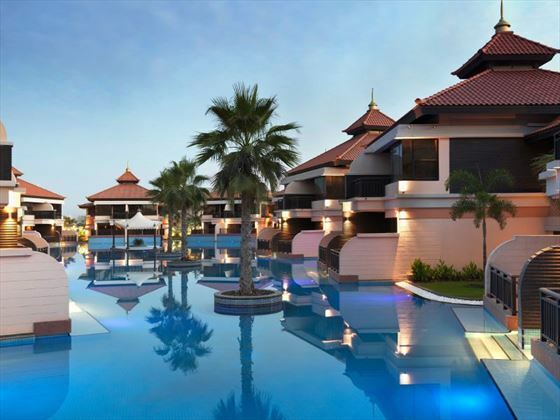 With plenty of things to do for both kids and teens, parents will be able to take full advantage of a superb choice of spa, sports and sun-lounger sessions with plenty of family-friendly dining options on-hand to satisfy even the pickiest of prince or princess. Couples will find themselves in their element too and if you've got a vital question to pop or just fancy enjoying each other's company in private then Dining by Design is most definitely a romantic interlude not to be missed. Further reading: Anantara The Palm is featured in our guide to the top 10 luxury hotels in Dubai. 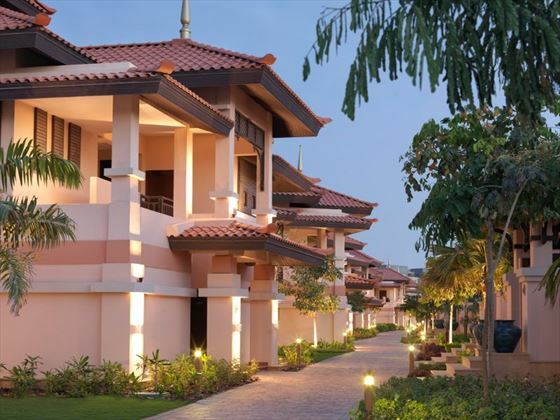 In the grounds of a former coconut plantation, the greenery is lush and fragrant and the flat landscape is perfect for a cycle ride on the resort’s mountain bikes. 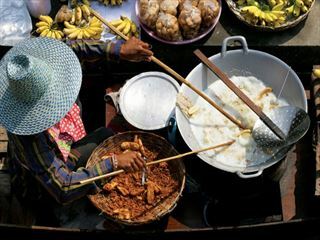 A great choice for foodies with more than ten choices of dining spots on-site, including an Italian named by Conde Nast Traveller as the best in Asia; there is also a culinary school where you can test your own skills with a trip to the local market and a tutorial in the kitchen with the chef. 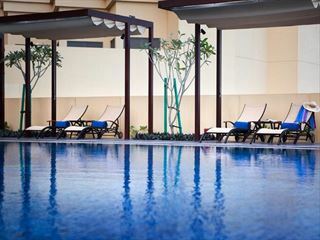 With several pools, the resort works well for both couples and families with children’s activities being really popular. Wonderful staff and an award-winning Mandara Spa round off this luxury resort in a quieter area of Phuket.